Another view of an Arcade game development station. Just to the left of the monitor you can see the card cage for holding the wire-wrap prototype boards for the games. 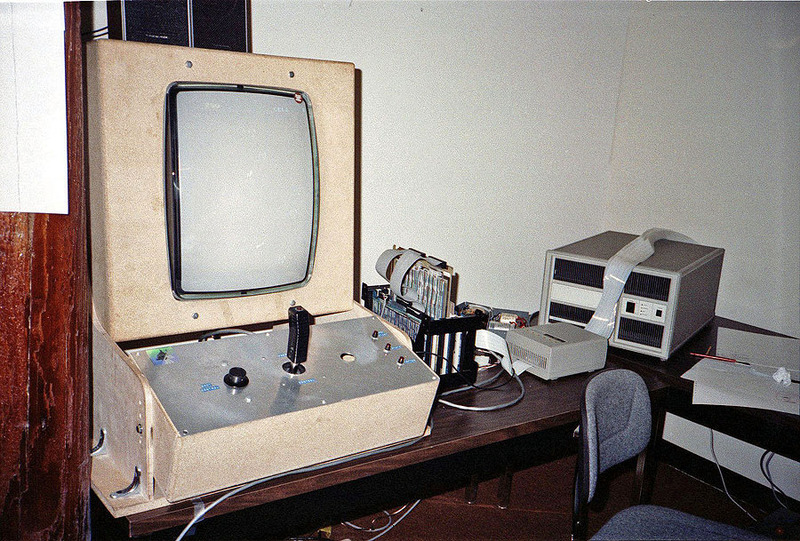 Yes, that was the nightmare prototype station (joystick and rotational knob). - the way the one kid jumped in the focus test at the final scream. Didn't we eventually do a Mac game based on the dot-and-rotating-bar mechanism?